An AC contactor is an electrically controlled switch used for switching a power circuit. 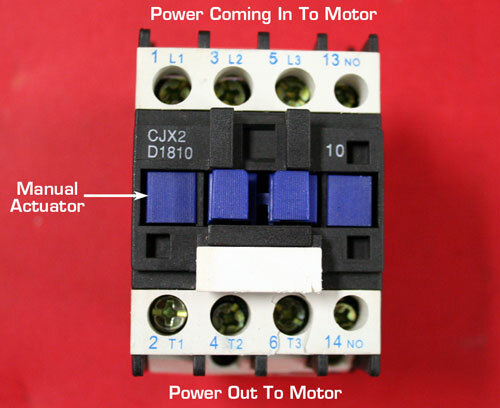 In some cases, the AC Contactor can fail, not allowing the voltage coming in to transfer out to the motor. The best way to test the AC Contactor is to use a multi meter to test the voltage coming in and the voltage going out. 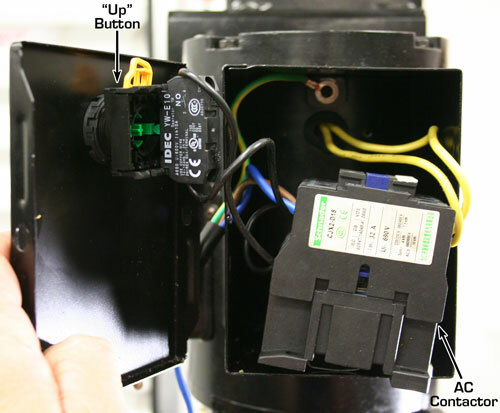 If the voltage going out to the motor is less than the incoming voltage, the AC contactor is defective. Helpful Tip: Use an insulated screw driver and push down the manual actuator button (usually located top center). There is a chance that some of the contacts (in the AC contactor) are not activating when pressing the â€œUP â€œbutton. Helpful Tip: Be sure the incoming leg wires match the outgoing leg wires. Example: 1L1 incoming power (from the wall) to 2T1 (to the motor).